Protect and carry all you pure essential oils and accessories in this secure 3 tier wooden essential oils aromatherapy storage box. the lower drawer pulls out to store 14 roller ball type bottles and other essential aromatherapy accessories. Protect your oils from light and keep them safe and secure. 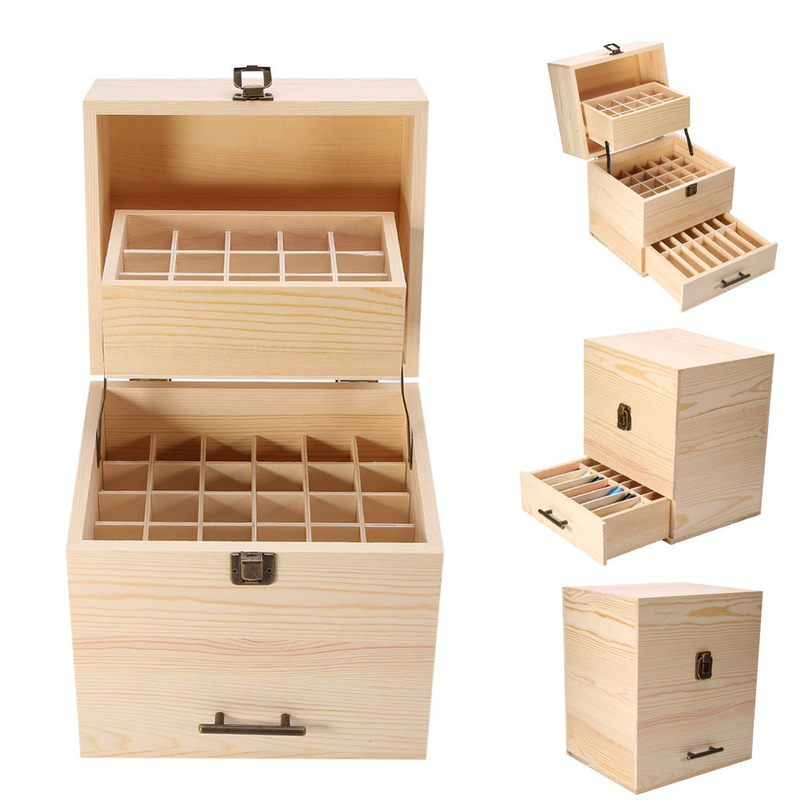  This wooden storage box holds up to 59 x 5ml, 10ml and 15 ml essential oil bottles. The drawer compartment can hold roller ball type bottles and accessories.  Overall size: Height: 25cm x Deep: 18cm x Wide: 21.5cm.  Holds up to 59 Essential Oil Bottles.  15 compartments in top tier, 30 compartments in middle tier, and 14 compartments in bottom drawer.  Holds 5ml, 10ml, or 15ml essential oil bottles, also holds 14 'roll-on' bottles in the bottom drawer.